We also had a bit of time for some fun and games trying to see how tall of a tower we could build with our free water bottles some of you might have picked up on the weekend!! 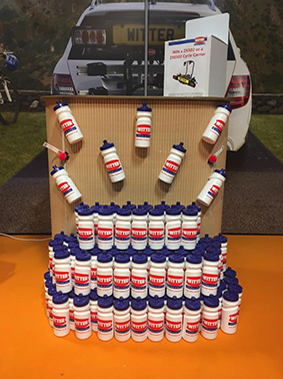 If you were at the Show or bought any of our cycle carriers after the show why not tweet us @witter_towbars with your pics! We'd love to see your carriers out in action especially as those Easter Holidays are starting to creep up on us!